Credit unions are consumer owned enterprises that represent a fundamental challenge to conventional capital corporations. 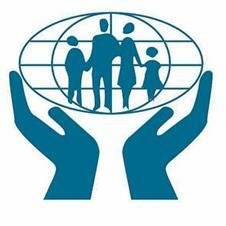 Credit unions do not exist to generate profits, but to provide services to member-shareholders. Recent published documents raise some interesting questions about the future of our credit unions. Consolidation and amalgamation over the last thirty years has drastically reduced the number of credit unions in BC (and elsewhere). In the mid-eighties there was 120, now there are 43. And the two largest credit unions comprise @50% of the deposits and almost 50% of the memberships in BC. Two papers submitted to the provincial government review of credit union legislation were made public online and provide pointed criticism of the erosion of member democracy in large credit unions. Submissions are public and the papers from Bruce Bachelor and Mark Latham both argue for enhanced democratic practices. Also, governancewatch.ca provides an excellent overview of difficulties at Coast Capital Credit Union. But beyond that, credit union members also own "second tier" enterprises, or are the beneficial owners of these; Central 1, Co-operators Insurance, CUMIS Insurance, etc. Since credit unions control these businesses, consumer owners rarely consider their stake in them. But a recent paper from Central 1 provides a great overview, and a discussion of a 'restructuring' of these entities - Future State. But this paper fails to recognize consumer ownership as the key 'uniqueness' of our credit unions. Over time the radical idea of consumer control has been down played. More emphasis has been placed upon marketing smarts and service. Indeed, co-operative democratic governance has been under-represented and eroded. 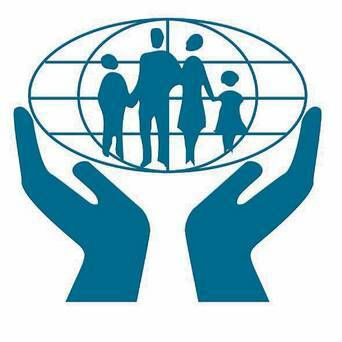 Members are no longer encouraged to take active interest in the affairs of the credit union, unless there is a merger proposal. This is unfortunate, as the price of democracy is vigilance. Our credit unions not only manage our savings, but also control substantial accrued 'wealth'; retained earnings is an asset held/owned in common by all members. This is community property. Our organizations do not 'belong' to the managers and directors. When there are big choices to make members should be consulted. Members must not only think about their own accounts and transactions, we all have a stake in the community organizations that we have jointly created over time and organizations that ought to be looking out for us as we move forward. CCEC welcomes input from our members on the evolution of the credit union system and how we may play our part. Feel free to listen into this podcast with Ross Gentleman and Tammy Lea Meyer. On behalf of the board, we are pleased to announce that Tracey Kliesch will be joining CCEC Credit Union as our General Manager as of May 15, 2016. 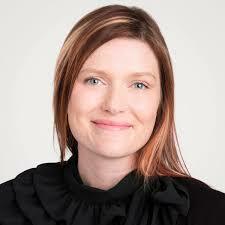 Tracey is coming to CCEC after more than 12 years at Vancity in both operations and community investment. Tracey has spent the last five years as a Community Investment Portfolio Manager, where she has focused on building meaningful partnerships with mission-based organizations, as well as managing the Youth Community Advisory Committee and online forum. Outside of her work with Vancity, Tracey teaches Cooperatives and Community Economic Development at BCIT, and has worked internationally to promote and strengthen the cooperative model and help build the cooperative movement. Ms. Kliesch will be replacing Ross Gentleman who is retiring after leading the credit union for three years, having been an active volunteer and contributor for over 35 years. Although he will be missed as GM, we expect he will continue to volunteer in some capacity. CCEC Credit Union provides financial services to non-profits, co-ops, social enterprises and progressive small businesses, and to individuals affiliated with these community organizations. As a community development credit union, CCEC has worked with many projects associated with housing, childcare, health, environmental stewardship, gender equality, and free expression.